Girl Scouts of Cranford Troop 40534 has been working on earning the Silver Award during the spring and summer of 2018. The Silver Award is the second highest award in Girl Scouting. The troop worked on two projects that focused on areas the girls wanted to improve in the Cranford community. Four girls from the troop, Ava Janish, Audrey Esteves, Natalia Onisko and Emma Donnelly, worked together on a project focused on helping animals and raising awareness about different issues related to animal welfare. The girls’ project focused on supporting a local cat shelter and on educating people about important issues related to animal welfare. 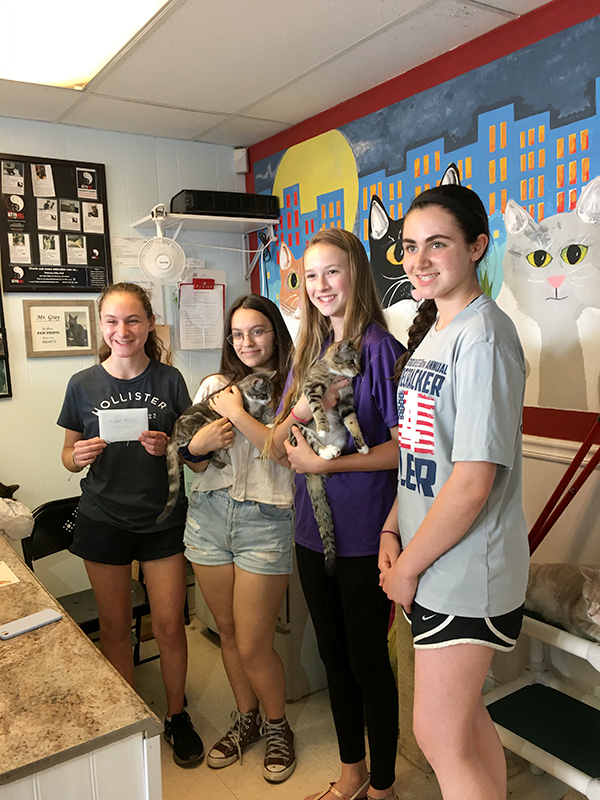 The four girls collaborated with a local cat shelter called “Angel Paws” in Colonia and collected donated products to support the shelter such as cat food, cleaning products, blankets, etc., which they delivered to the shelter. The girls also on multiple occasions set up a booth at Petco and at other locations around town to collect donations and to educate the public about important issues that affect the welfare of both cats and dogs, including the importance of spaying and neutering, why declawing can harm cats, the dangers of animal hoarding, how, without meaning to endanger their pets, some decisions can cause animals harm, and things people can do to help improve animals’ lives. The girls created a website to educate people about all of these important topics. 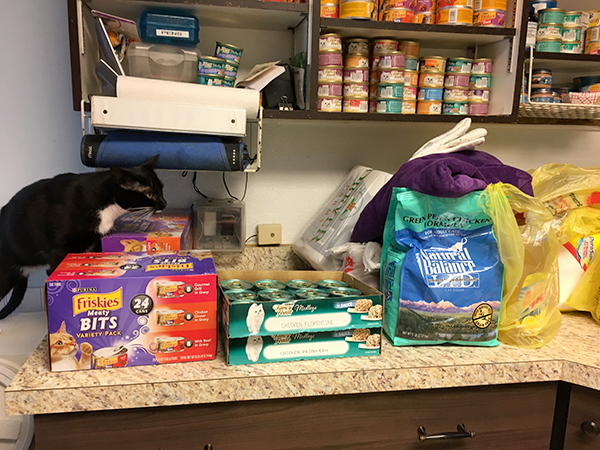 With generous donations from the public, the girls purchased and delivered many items that Angel Paws needs to keep their cats happy and healthy. The girls also raised awareness and collected donations from the public in other creative ways. They set up a booth at the Cranford street fair on April 29 where they informed many people about their project and how they could help. Several of the girls visited Cranford’s local business community to ask for their support. The girls were able to educate patrons about their project and suggested ways people could help animals and support the shelter. One of the girls attended a “Take Your Child to Work Day” event where she raised awareness about animals and received a generous donation. Another girl created an iMovie video to add to the website with a very personal appeal for the humane treatment of animals. The girls also held several bake sales at their school. After soliciting the support of the principals at two local Cranford schools, the girls set up donation boxes and posted flyers about the project, and the students and teachers at both schools very generously donated supplies to support Angel Paws. By the end of their project, the girls donated about one thousand dollars in needed supplies to Angel Paws, and they continue to volunteer their time to support the shelter. Now that their project has concluded, the girls are thrilled to have successfully completed the project and earned the Silver award. They are extremely grateful to their fellow township residents, neighbors and friends for their support and for helping the animals by donating to Angel Paws! To learn more and how you can help, please visit the girls’ website at https://40534gstroop.wixsite.com/caninesandcats and the Angel Paws website at angelpaws.org. (above, l-r) Ava Janish, Audrey Esteves, Natalia Onisko and Emma Donnelly.